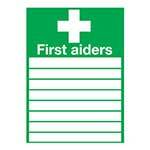 When an injury occurs a first aider and a first aid kit need to be located quickly. 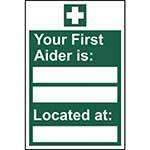 These signs clearly display where first aid kits can be found and where to find first aiders. 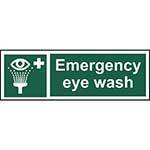 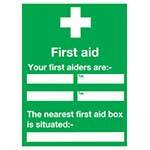 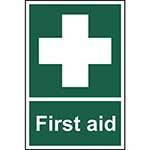 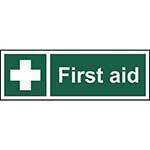 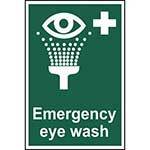 All of our various green and white First Aid signs are available in self-adhesive vinyl or rigid PVC. 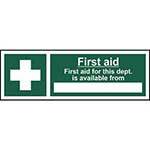 To direct people to where they need to go in an emergency, we supply clear “First Aid for this department is available from…” signs as well as the classic plain white cross on a green background for “First Aid” itself. 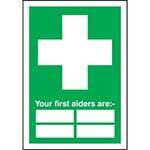 We also supply a diverse range of designs for first aider signs. 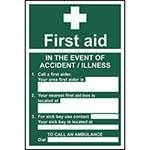 All signs are available in rigid PVC or as self adhesive labels. 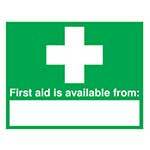 You may also be interested in our first aid kits & supplies.